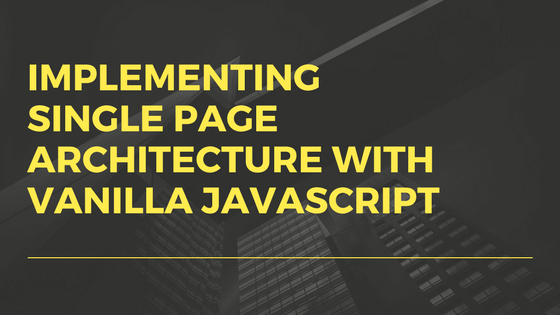 Single page architecture is an approach used for building web apps that have smooth inter-page-transitions. The transitions are so smooth and fast that they look like native apps. 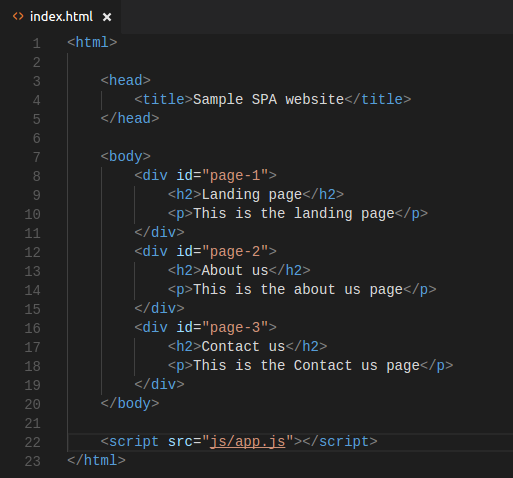 The basic principle of an SPA is that all of the code is in one document (one HTML file). All the API calls(if any) should be made through Ajax on the client side itself. 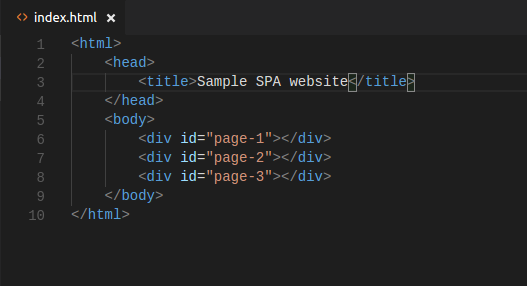 Inside the directory, create an index.html file with basic HTML tags like Head, Title, Body etc. Create a file called app.js inside the js folder. 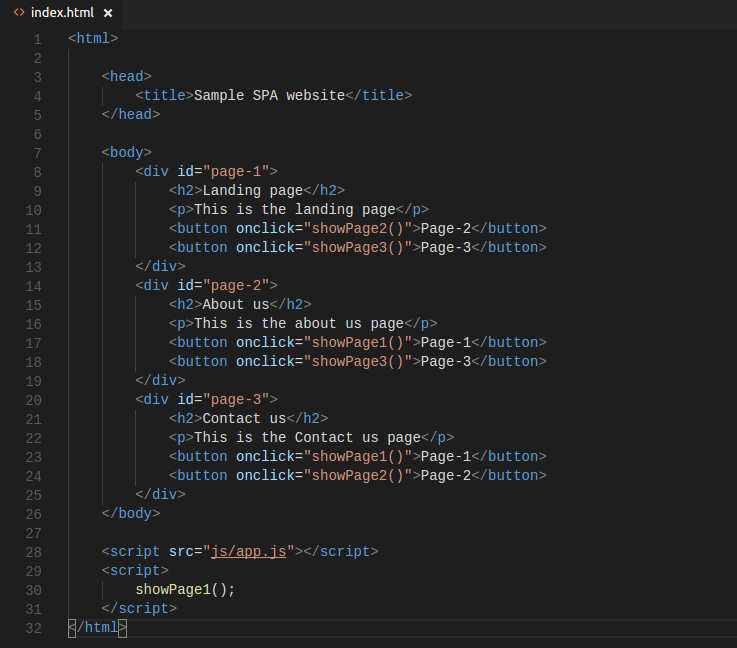 And include it as a script in index.html. Now, we want page-1 to be show at the begining. 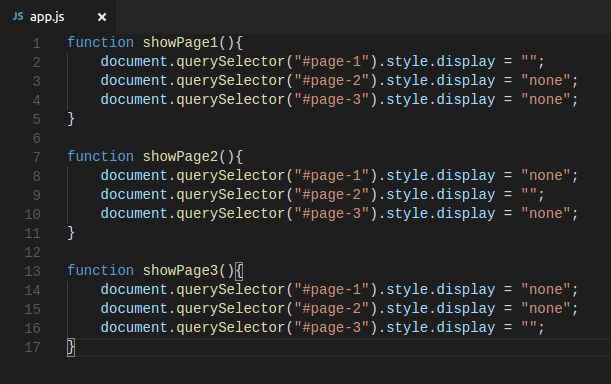 So, we should call the showshowPage1() function inside a script tag in index.html. Now, if you open the index.html page on the browser, it will look like this. 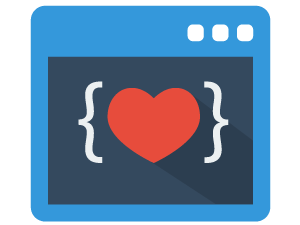 Call the function in app.js through the onclick attribute of each of the buttons. 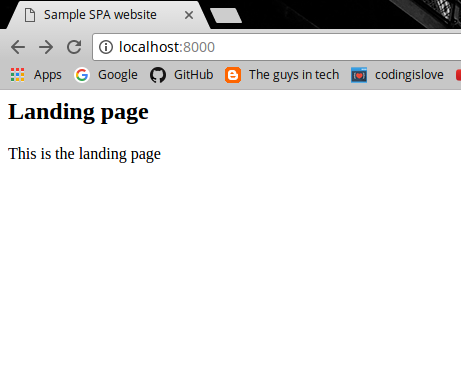 So, this was just a small representation of an SPA based website. With the same steps, you can build a much bigger website. It’s just a matter of what content you are putting inside the divs. But do keep in mind that the common elements like navigation bar should be kept outside the divs as it should appear in all the pages. How this post helped you in some or the other way. Have fun making SPAs. And if you run into any problem while following the steps, reach out in the comments below. It was useful. I really appreciate it. Thanks! I am glad it helped!